"Ginga Kogen" means "The plateau of the Galaxy." It is brewed at the foot of Mount Wagadake in Iwate prefecture in Japan. Mount Wagadake is known for its heavy snowfall resulting in an abundance of sparkling clean water, ideal for brewing beer. 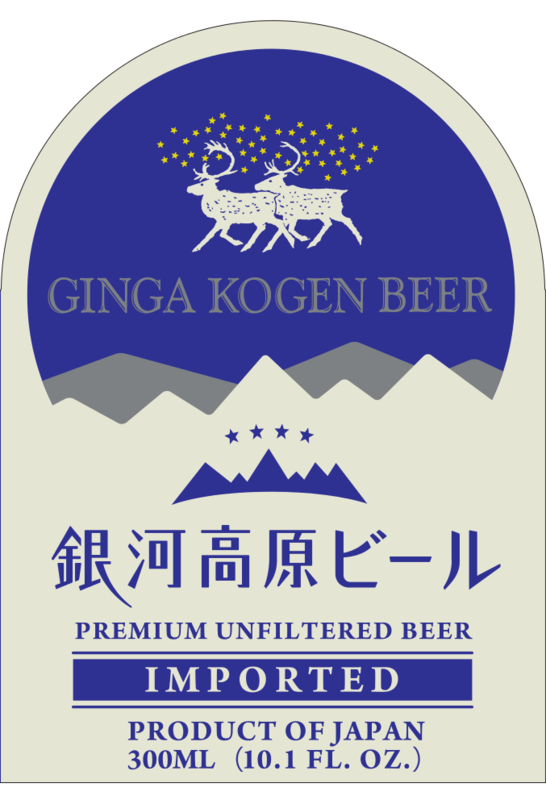 Ginga Kogen is a "Hefeweizen" style beer: a yeast wheat top-fermented beer brewed with more than 50% of wheat malt. It is an unfiltered beer distinguished by its fruity aroma and pale color.